Me? Unless I've got a very specific product in mind, I do most of my shopping in person. Online is great when I've decided what to buy and I'm trying to find the best price (or, more often, the fastest last-minute shipping option). But I'm finding that's an increasingly rare state. More often than not, I've got a list of people I need to buy gifts for, and nary an idea how to check them off. So I end up bumbling into the nearest Buy N Large and skulking around in an increasing state of befuddled panic until my glazed eyes lock on to something that doesn't overtly scream "I bought this in an utter flailing freakout." Is it efficient? Nah. It's not particularly fun, either. But somehow seeing a product in the flesh makes a snap decision easier for me. Also, in this scenario, I've probably picked my impossible-to-buy-for little brother in our family's Secret Santa swap and it's also most likely December 24th already. It ain't perfect, but it works. Sorta. So assuming you're doing some sort of holiday shopping (and a total high-five if you've somehow avoided this unsettling ritual altogether), what's your strategy? 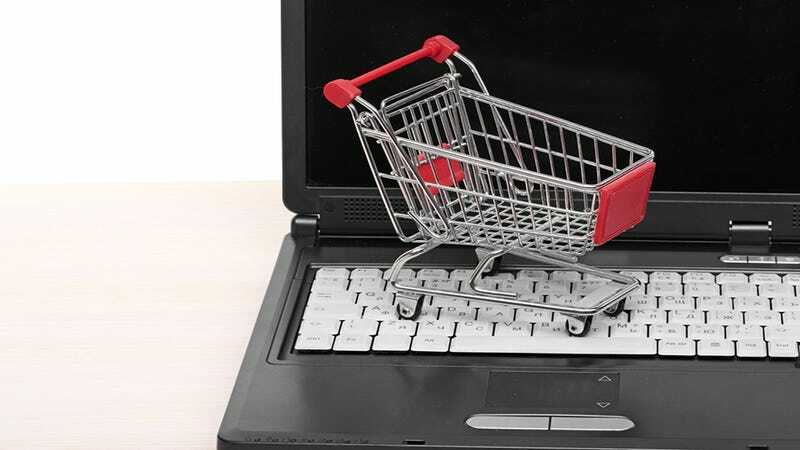 Do you buy online, in person, or some strange mixture of both? Has the advent of Small Business Saturday or Cyber Monday or stores opening when everyone should be enjoying Thanksgiving with their families changed the way you shop?